Available in 16 different fragrances, 100% Pure Body Scrub cleans, purifies, and polishes the skin all over your body for a radiant complexion from head to toe. 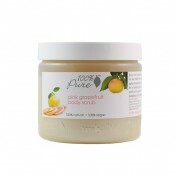 Whether you enjoy the sweet aroma of honey almond or would rather breathe in the citrusy scent meyer lemon, you’ll have no trouble finding a body scrub that suits your distinct preferences. Each 100% Pure Body scrub uses all-natural, organic ingredients to deep clean and polish the skin with out synthetic chemicals, artificial fragrances, alcohol, or harmful preservatives. 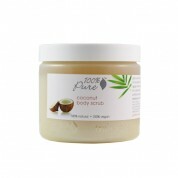 100% Pure Body Scrub instantly smoothes the surface of the skin, removing tough areas and conditioning thick skin for a smooth, soft, and silky texture that you can see and feel. At the same time, it polishes away dirt and debris to provide a youthful luster and radiant glow. 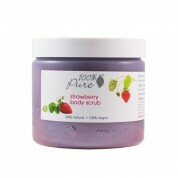 Packed with skin nourishing active ingredients to improve the health and appearance of the skin, 100% Pure Body Scrub rejuvenates the skin from the inside out. In doing so, stimulates skin cell metabolism, increasing renewal rates for a fresher, healthier look. 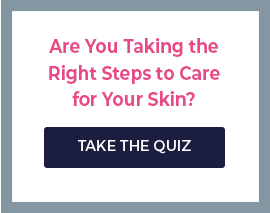 At the same time, it improves cellular production of collagen and elastin for a firmer complexion that is more taut to accentuate the natural contours of your body. With consistent use, you’ll see a more youthful appearance and improved vibrance. Exfoliation is an important part of any skin care regimen, and there’s no better way and more enjoyable way to do it than with 100% Pure Body Scrubs. Each scrub invigorates the senses while purifying and nourishes the skin, providing benefits for your body as well as your soul. 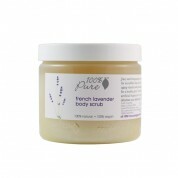 Use these body scrubs 2-3 times every week in addition to regular cleansing for skin that is vibrant all over your body. 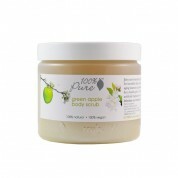 Try all of the 100% Pure Body Scrubs! You’re skin will love the benefits, and you’ll enjoy all of the different scents.